My blog seems to be experiencing a little seasonal slow down lately. The sun is shining, the days are heating up, and I want to be staring out my open windows or watching my toddler figure out the plastic slide in the yard instead of doing cozy crafts (or blogging about them) on the couch. Everything has a season, right? But I do have a couple things to write about today. First, it’s that time of year again when people are thinking about next year’s educational choices. If you want to read about why my family educates our kids at home, it’s all right here in a post I wrote last year. Next, I feel like it’s also sort of seasonal for people to get tired of everything they’ve been up to all year, now that spring break is almost here and the school year is winding down. All the experiences that seemed fresh and crisp in September feels sort of limp and blah now. It’s fine for some things to go by the wayside in spring. Why not spend more time cloud-gazing and less time on everything that feels less important compared to that view? But don’t take down other mommies on your quest for personal happiness, ok? Letting yourself off the hook doesn’t have anything to do with the girl next door, whether she’s one of the Joneses or Martha Stewart. If someone else’s leprechaun trap made you edgy this week, please read this instead of posting a link to an article about how other people overdo it. XO. My photos today are of a project from earlier this winter that really didn’t turn out all that well though I liked the concept. 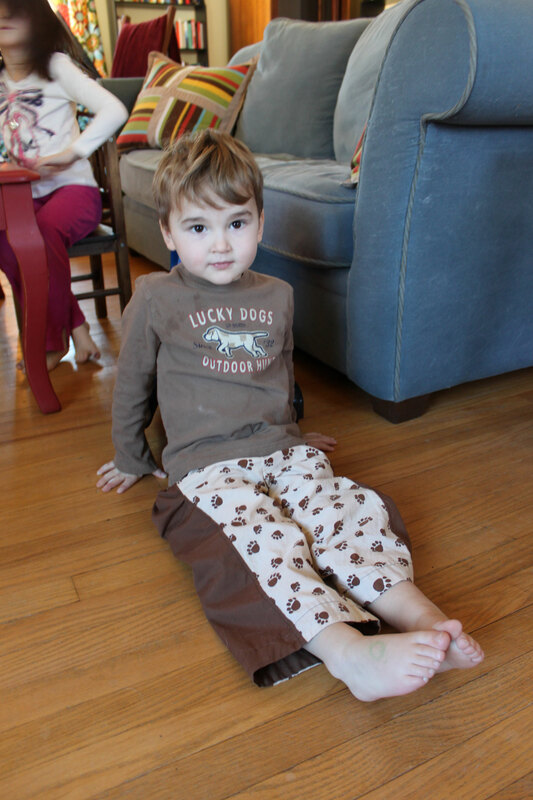 I made cute boy pants out of brown corduroy and an adorable camper print cotton I bought last year. 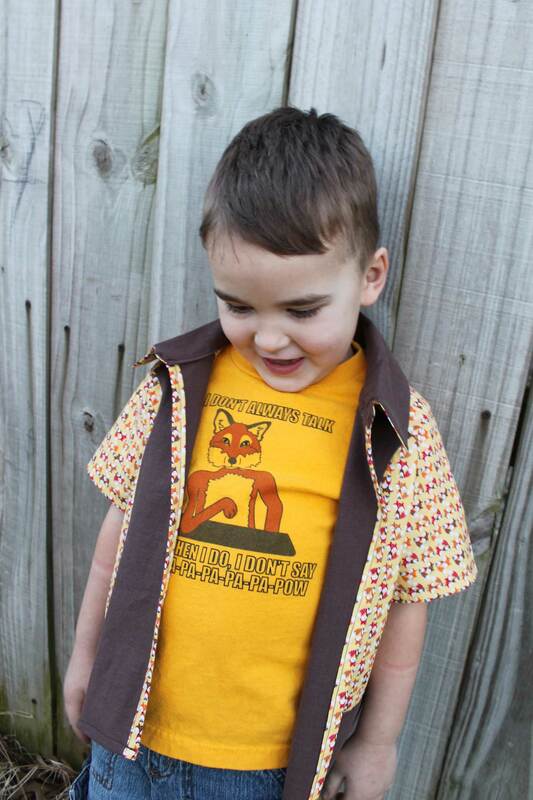 The pattern, from Sewing for Boys, is one I’ve made before. The problem with the pants is that they are too short. 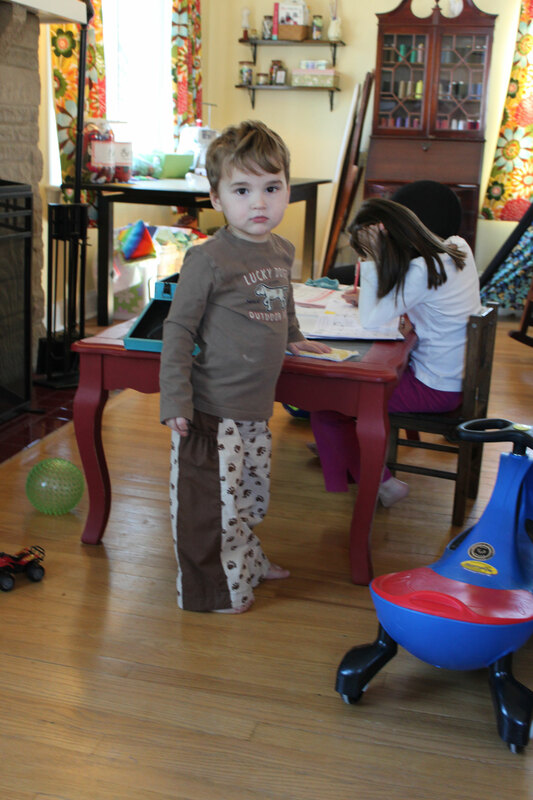 I made the same size I’d made for him last year, erroneously thinking those pants still fit. Oops. Fine in the waist, but a good two inches too short. He’s worn them constantly anyway and they look goofy. I finally hid them so he’d quit wearing them and have plans to turn them into shorts, even though corduroy isn’t exactly what perfect shorts are made of. The shirt is just a plain white tee with a panel of the fabric appliqued on. Again, my problem was with fit. I was apparently careless when I grabbed the shirt from my stash and it’s the wrong size. It’s too big in every direction and he’s never worn it again after the day I gave it to him. Probably he’ll wear it constantly next winter, with pants that clash. Oh well. Sometimes the point is just that my middle kid (and only boy) needs to know I made something just for him, and there you have it. Today’s post is about birthdays and half-birthdays too. In our family we celebrate six-month birthdays with cupcakes, as was the tradition in my family growing up. 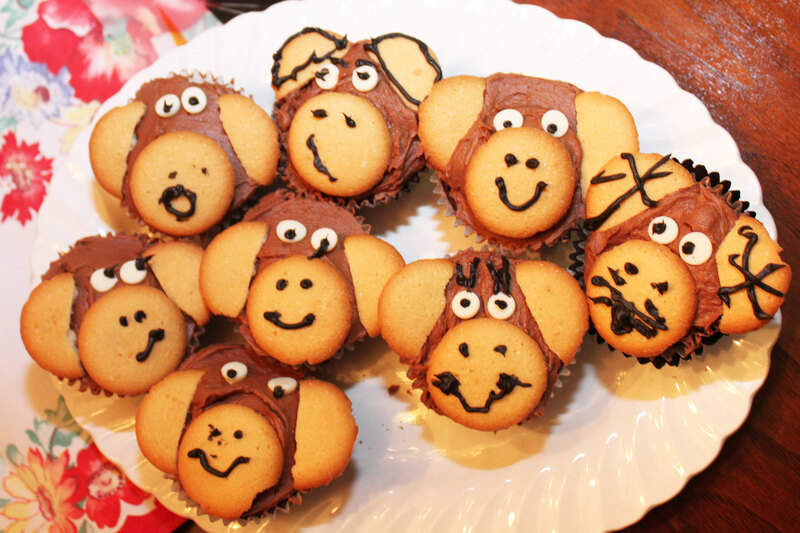 For Worth’s half-birthday we made Pinterest-inspired monkey cupcakes with chocolate frosting, vanilla wafers, white chocolate chips, and piped dark-brown frosting. My kids had a great time decorating these, and they were simple enough that the 4-and-a-half-year-old boy of honor could fully participate. Dorothy wanted un-decorated cupcakes that we could upend over some clipart of the Wicked Witch’s feet (see my photo on Instagram) to make the cakes look like houses that fell on the witch. Fun! We’d just been on a field trip to an apple orchard, and I was still working my way through the huge bag of apples I bought, so I made apple cupcakes with caramel icing. The apple cake recipe I used calls for shredded apple, so there is a nice apple flavor without the chunks that end up mealy or tough in some apple cake recipes. I substituted pie spice for the cinnamon, and the moist consistency of the cake made perfect cupcakes that don’t fall apart when you eat them and peel away from the paper easily. Go and make these cupcakes this afternoon–seriously, they are so good. And the cakes would have made a perfectly nice dessert or snack without frosting, but of course for us they were meant to be cupcakes, so they really had to have frosting. 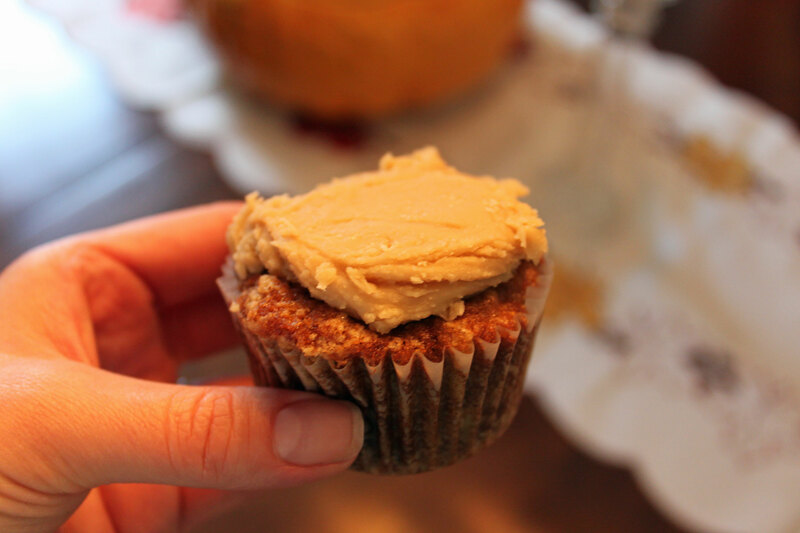 I used this caramel frosting recipe and it was just right, Caramel frosting over apple cupcakes–yum. Amid our half birthday celebrating at home, Worth got invited to the birthday party of some friends. The kids were having a space-themed party so I made them embroidered comet t-shirts. Some of my favorite free embroidery designs are the retired sets at Bunnycup Embroidery. I used a design from the Stars N Stripes set, but rotated it to look like a falling star or comet. I like to do embroidered shirts like these, where the embroidery is done on a fabric panel that is then fused and sewn to the shirt, rather than directly on the shirt. That way I don’t have to deal with embroidering on stretchy knit, and the itchy back of the designs is not up against the wearer’s chest. I think the children liked their shirts. 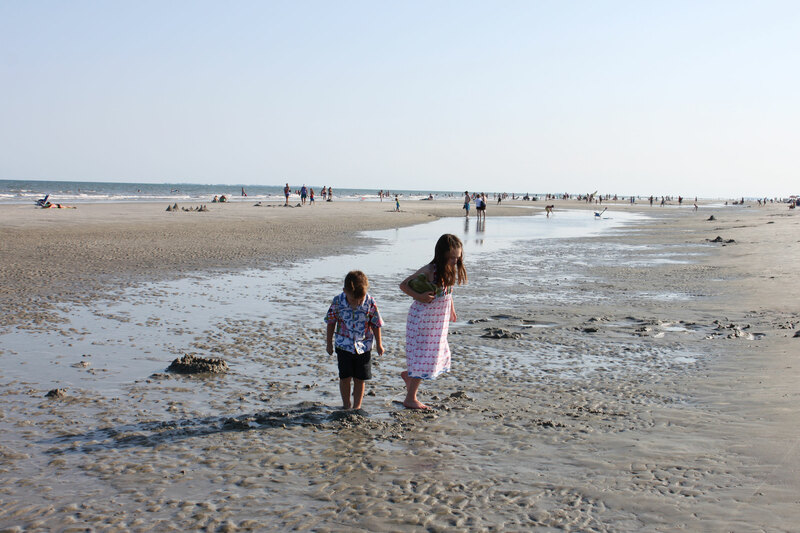 We took a family vacation to Hilton Head Island, South Carolina, this summer. 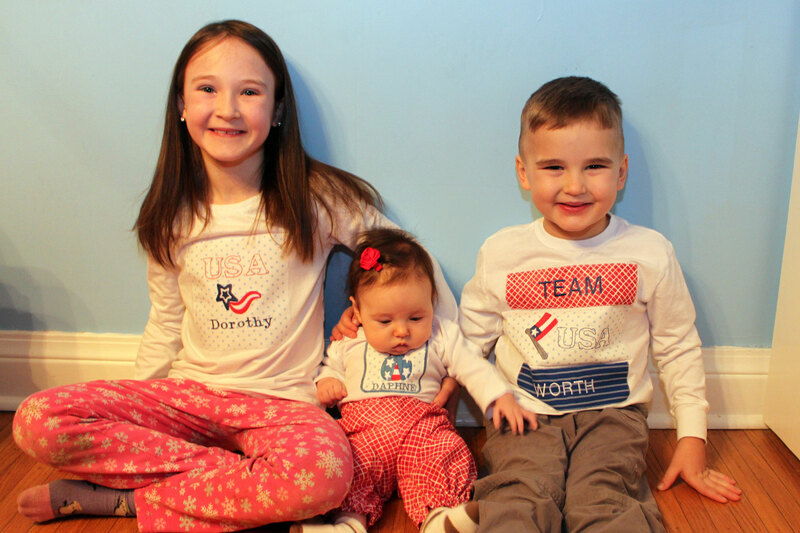 I put together matching outfits for the kids. Matching outfits on vacation serve the dual purpose of looking cute (in real time and in photographs) and helping me keep track of everyone more easily! I used fabrics from the Michael Miller Shore Thing collection. Dorothy’s dress was a little halter pattern from Girl’s World, and Worth’s was the cute pattern from Sewing for Boys I had also used on his fox shirt last winter. 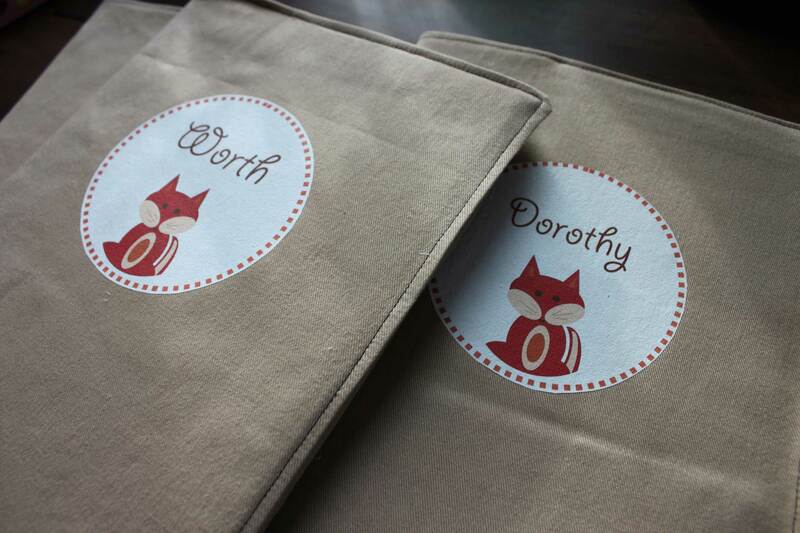 I think Dorothy’s pattern would have been more flattering on a less willowy girl–I had to add some ruching under the best to give it a little shape. Daphne’s dress is just a simple little halter with ties over the shoulders, and she got matching bloomers from the plaid. 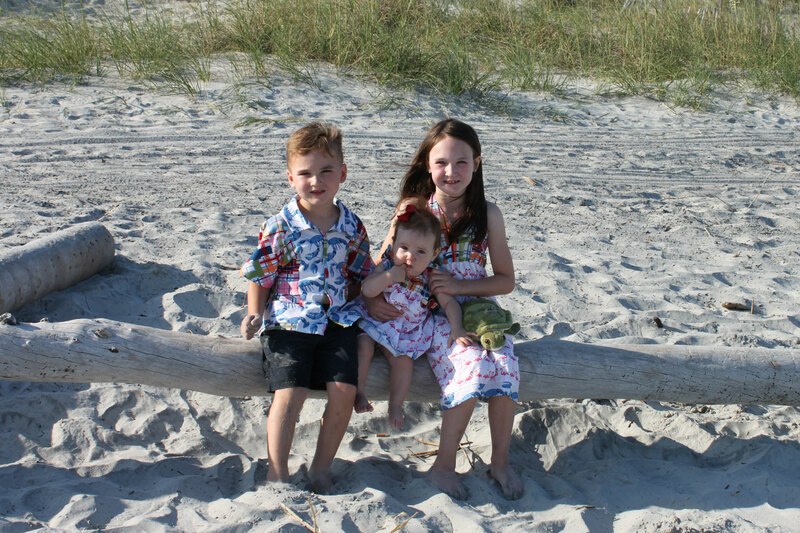 The outfits were breezy and comfortable for the kids, and were so fun for me to see in action! 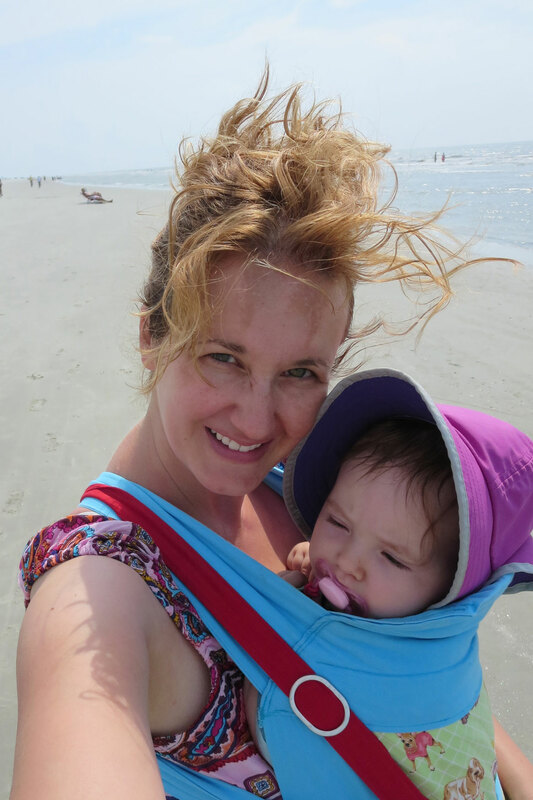 I took this babywearing selfie, since I’m often not in the pictures. This carrier came off my sewing machine just over a year ago, and it has gotten almost constant use! I love the mei tai style carrier. I made myself several new bags for our trip. 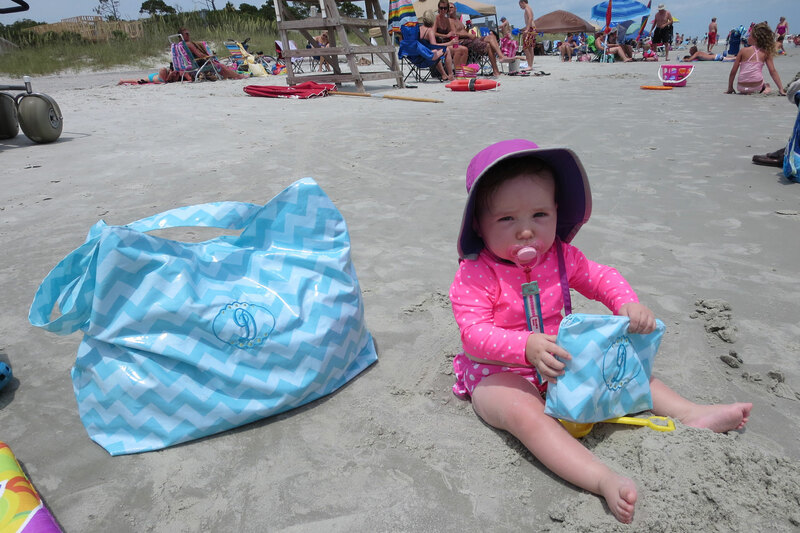 I often find that we take evening beach walks to find shells or get ice cream, and while I need to carry my wallet, room key, and sunglasses, I do not want to tote my beach bag or even my purse. I sewed this small pouch with a long strap to throw over my shoulder and carry just the essentials. It was handy for the beach and has gotten quite a bit of use back at home too. I had quite a bit of laminated cotton left over from a project of recovering my kitchen chair seats. I decided it would be good fabric for a new beach bag. I needed a new one anyway, now that we had grown to a family of five beach-towel users! 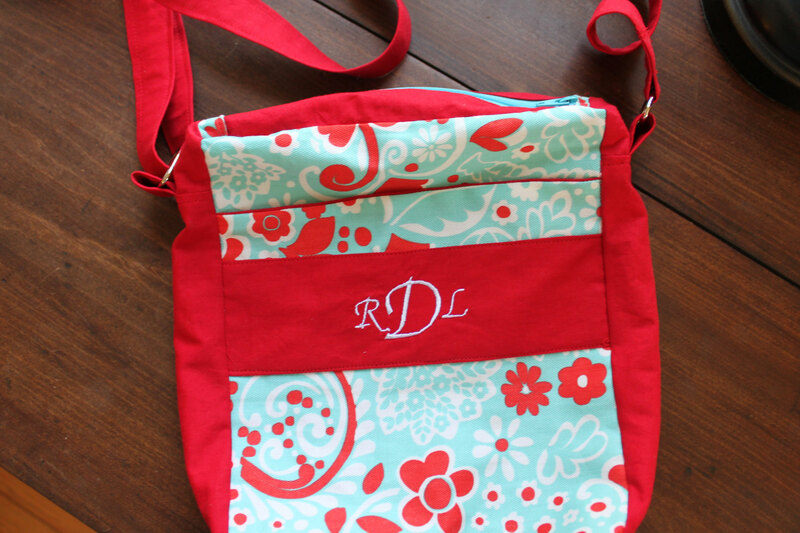 I lined the bag and made pockets out of a brightly-colored striped sheet, then made a little zippered pouch to match. I downloaded the embroidery file for the monogram from the JoyfulStitchesEtsy shop and have loved it so much I’ve been stitching it onto everything! I thought laminated cotton worked well for the bag in that sand and water could be easily brushed off, but not as well in that it wrinkles badly in a hot car. I wish I had a better photo of this project, but this one will do. I found this adorable mermaid-printed cotton last winter when I was looking for something else, and I bought it not knowing what on earth I’d use it for. 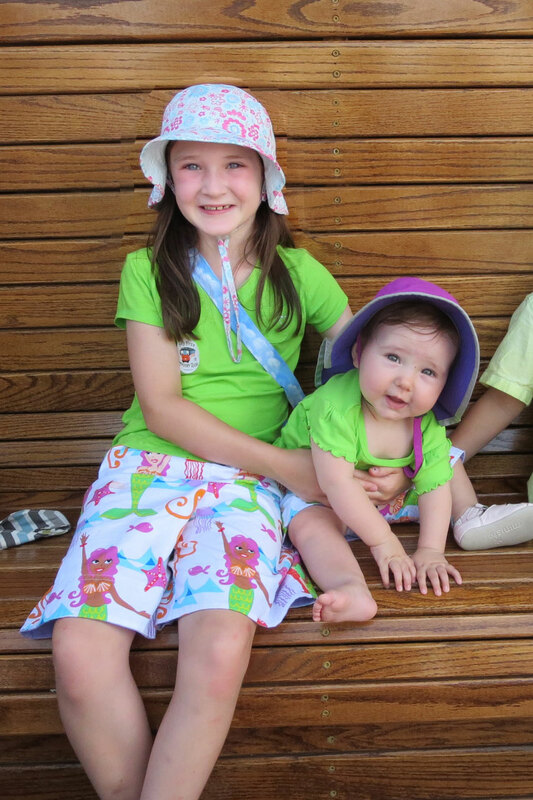 I made the girls matching bermuda-style shorts and they’ve worn them together all summer. Love it when my girls dress alike! I found their matching green tops at Children’s Place. I used their other shorts as a pattern, sewed on decorative lavender drawstrings, and made a leg-band facing out of the lavender. There was just enough of the mermaid fabric left from the project that I got a little mermaid coin purse to carry my quarters in to the beach laundry-mat! My blog is not among the things foremost in my mind lately, in this season of snow and ice and ballet lessons and diapers and learning phonics and fixing hot meals and gluing Valentines and getting babies baptised and preparing for birthday parties and reading novels late at night and watching my daughter sew and…you get the point. But I’ve carved out a little moment in this coffee-fueled afternoon to prove to myself that I have something to show for my labors, besides the usual (and priceless) web of love and connection that I’m always working on but can never photograph. We aren’t big television watchers at my house, but do enjoy keeping up with the Olympics. Through some combination of moments of prime-time viewing on our rarely-used antennae-powered basement tv, online video streaming, the newspaper, and a homeschool unit I designed on the history of the Olympics with a bit of Russian history thrown in, we’re enjoying the Sochi Games. (Aside: what it is with me and run on sentences today?) It feels a little sketchy that we enjoy watching great feats of strength, grace and athleticism while sitting on our own bums eating pretzels, but it does provide some inspiration anyway, right? It’s like the Pinterest of sports. We’re just browsing, but it reminds us of the grace and strength our bodies (or at least some people’s bodies!) are capable of. Dorothy and Worth have enjoyed the spectacle of the opening ceremonies and have each “adopted” an athlete to follow. They’re becoming aware of sports they don’t ever see here in Kentucky, and of the rush of competition. 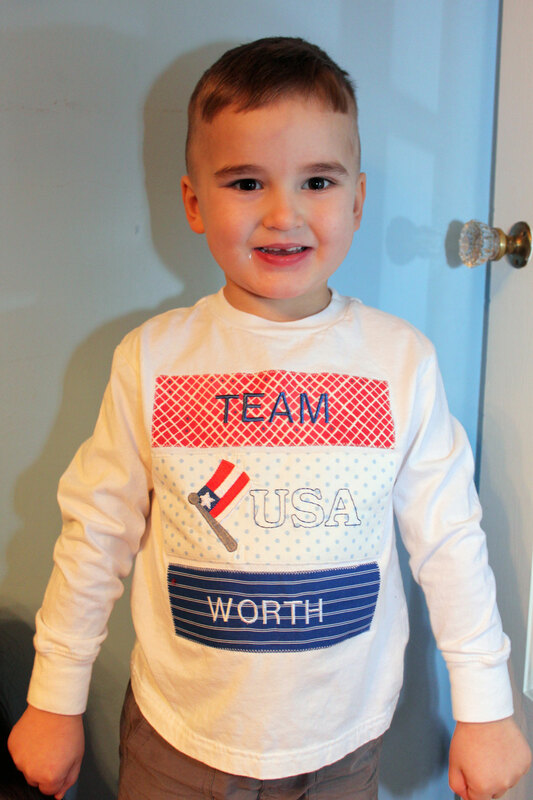 I saw an online advertisement for Team USA t-shirts and was inspired to provide my little Olympian-wannabes with some home-team shirts of their own to support their patriotic spirit. 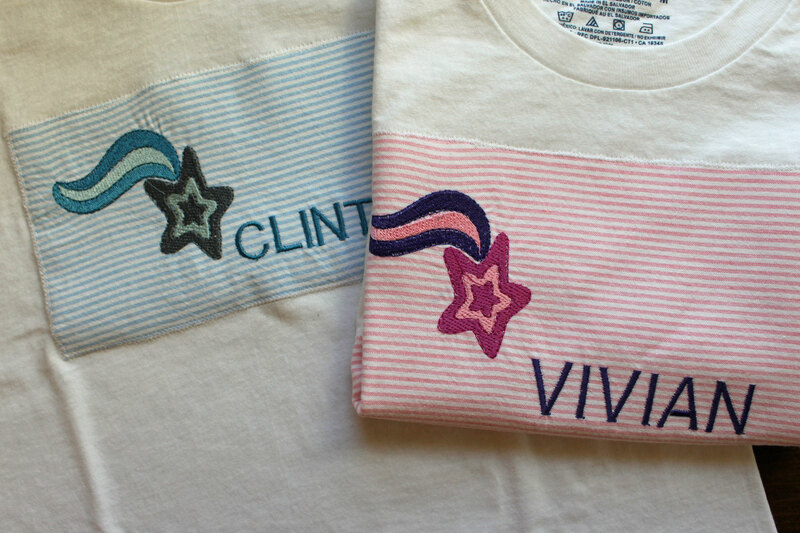 These are just store-bought shirts that I’ve embellished with scrap fabric and my embroidery machine, but they were fun to design and create. 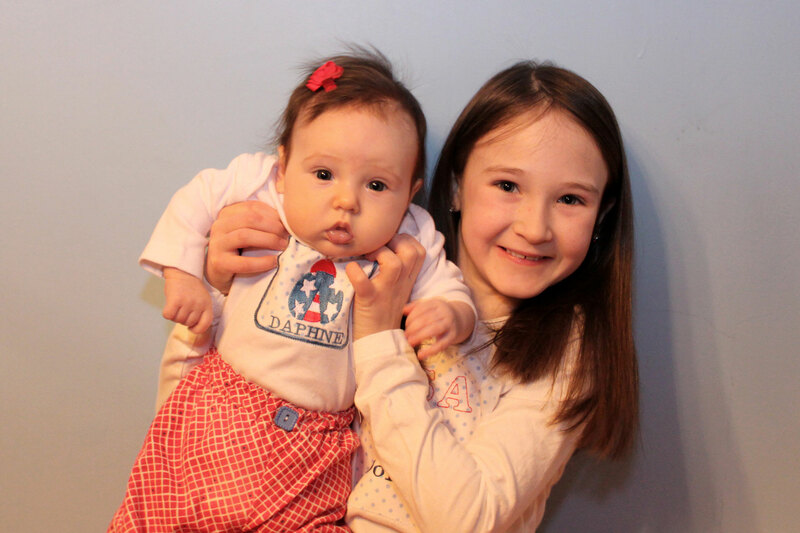 Daphne also got little red and white bloomer-style pants, based on a pattern in Making Baby’s Clothes. And the actual birthday pants! My boy wanted a “vroom vroom” birthday. 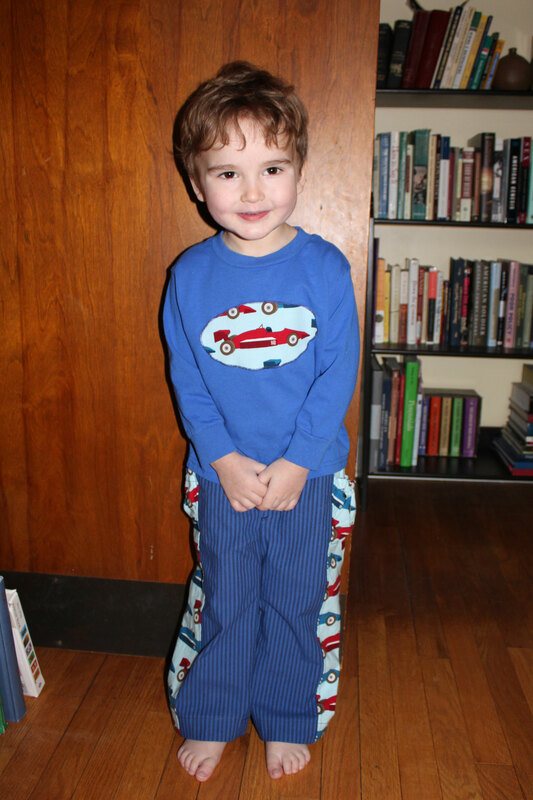 I made his pants out of a medium-weight blue stripe with the side panels and waistband made from this Boys Toys Cars Blue fabric. 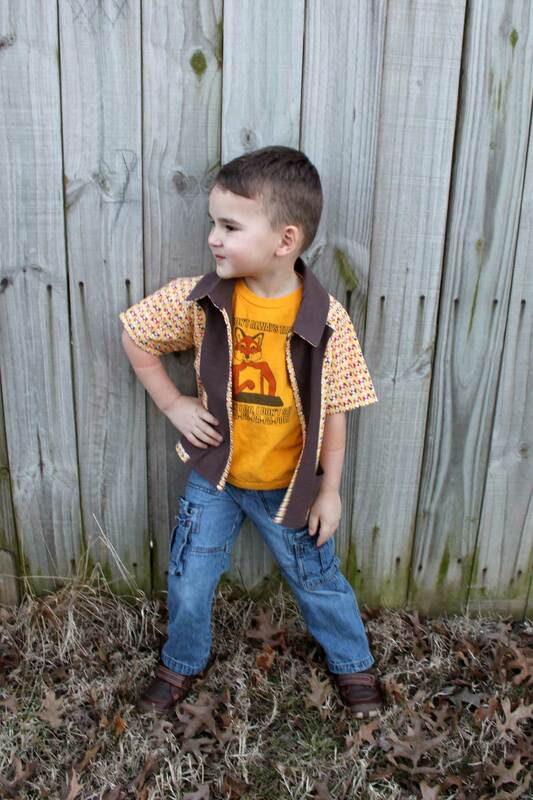 This is the same pattern as the pants in my last post, from the book Sewing for Boys. I made a simple applique for the blue t-shirt by cutting out an oval patch from the car fabric, fusing it on, then zig-zagging around it. 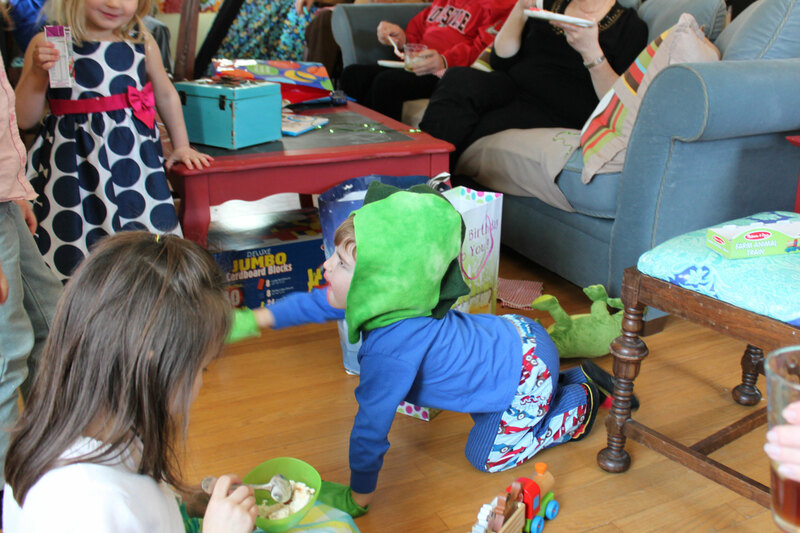 This picture shows the cute waistband, as well as the adorable dinosaur headdress and mitts his Aunt Molly made for him. 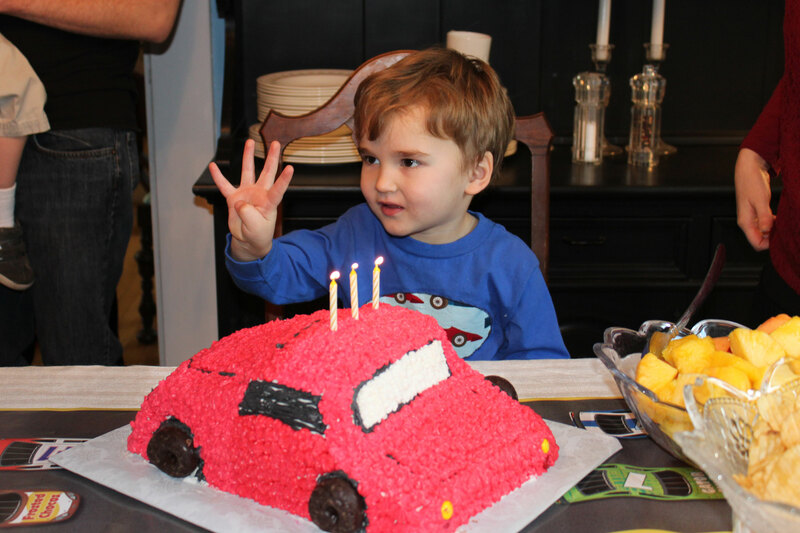 Here’s the birthday boy with his vroom vroom cake, baked and iced by my mom. He loved it. He’s trying to show us that he’s three, but he can’t get his cute little pinky finger to stay down! Now, a couple weeks out, he’s learned to hold that finger down while he’s giving us his age visual. Sweet boy. So after all that energetic blogging I was doing this winter I’ve now taken an almost month-long break. I’ve felt lousy and been laying on the sofa sick, and I’m still not feeling great, but I’m up on the sofa right now, so I guess I’ll give this being upright at the computer thing a try again. 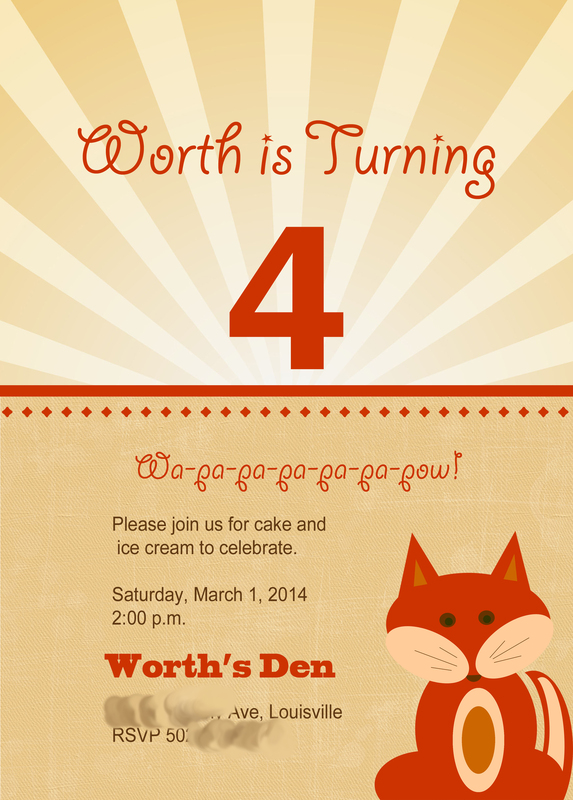 Worth has had this third birthday in the interim, and I made him some special pants for his big day. 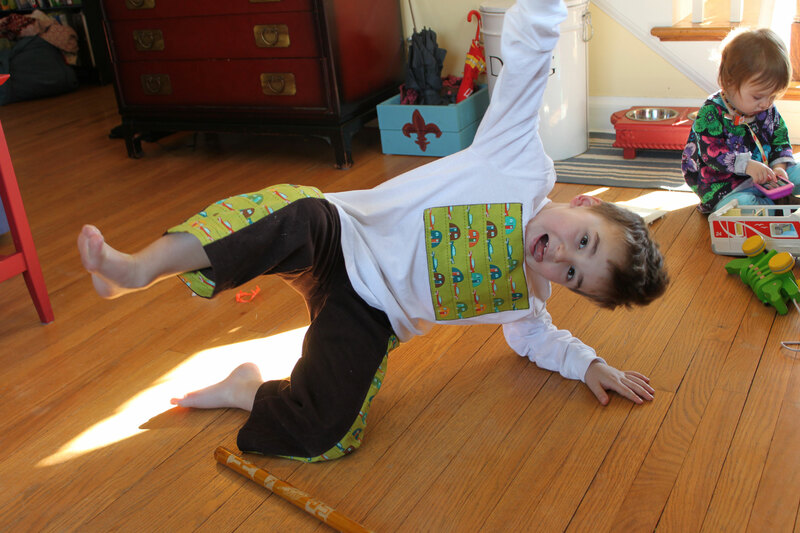 These pants are the birthday pants prototypes–a muslin of sorts to try out this cute pattern before I cut into his very special fabric chosen for the birthday. These pants are made out of brown scraps and some puppy print sheets I found at a thrift store. The fabric is a bit lightweight for this pattern, but still turned out cute. Here’s a side view of the pants. They have a “treasure pocket” built into the side panel. Of course that is his favorite feature; he feels like it is made to hold matchbox cards, which I guess it sort of is. 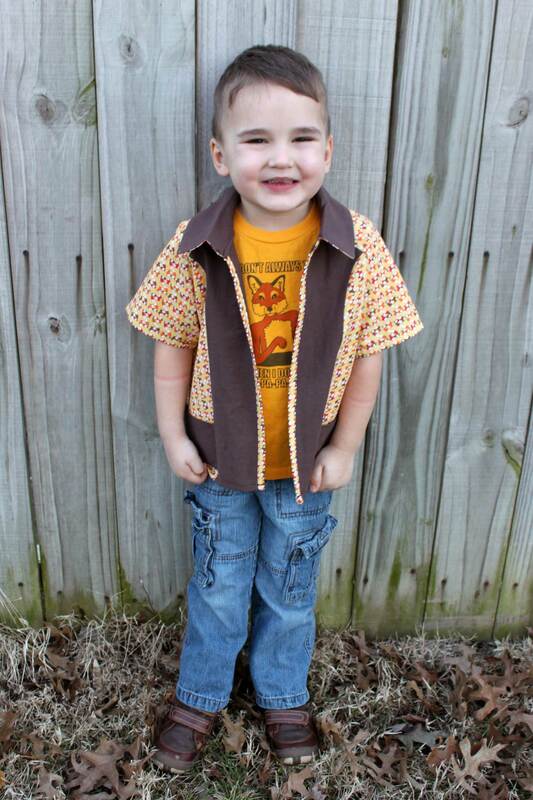 This pattern came from this book Sewing for Boys. It’s the first pattern I made from the book and I’m excited by how much I like it. 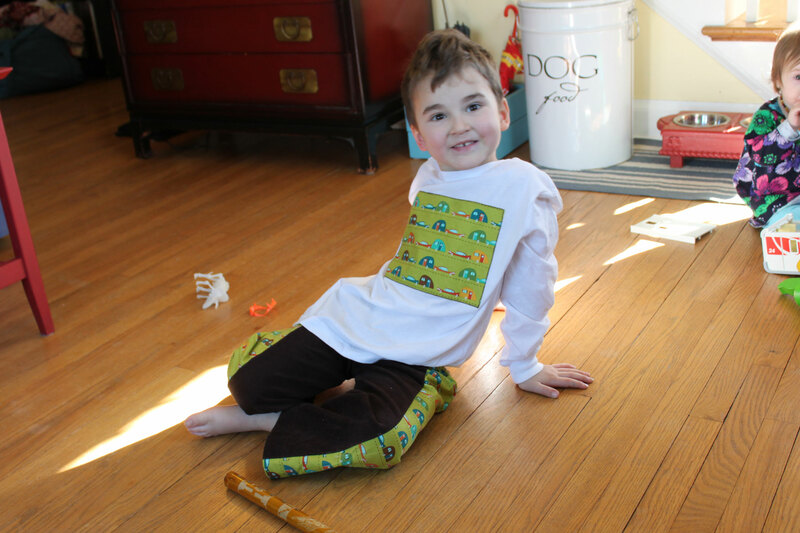 The fit is perfect, the pants are comfy, the directions made sense, and my boy loves the final product. Next time I’m up on the sofa I’ll post pics of the final birthday pants themselves!